Thanks to everyone that came out for the April 2018 Lancaster AI meetup! 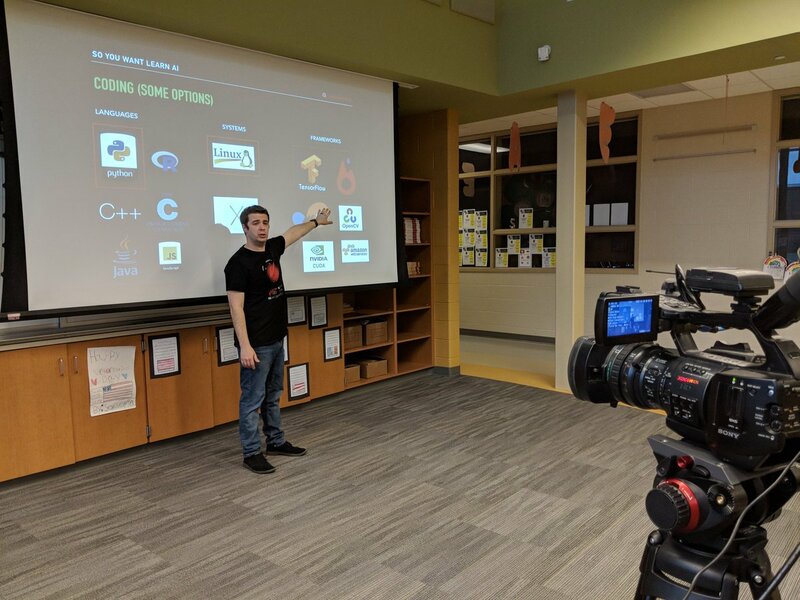 We had a great talk by Richard Everts on an So You Want to Learn AI at Hambright Elementary to our normal group as well as high school students from the Penn Manor School district. Lots of great feedback on the talk and we’re focused on getting better every month! Special thanks to Charlie Reisenger for helping to organize and spread the word about the event. It’s amazing to see what Penn Manor is doing with Linux/IT, and we’re excited to continue to develop tech talent in Lancaster! Thank you to our sponsor Sugey, as well as to Hambight Elementary for hosting the event. The live stream seemed to go great! See below for the videos, and we’ll see you again on May 29th. We’re looking for speakers, so contact us if you’d like to speak or have a topic.